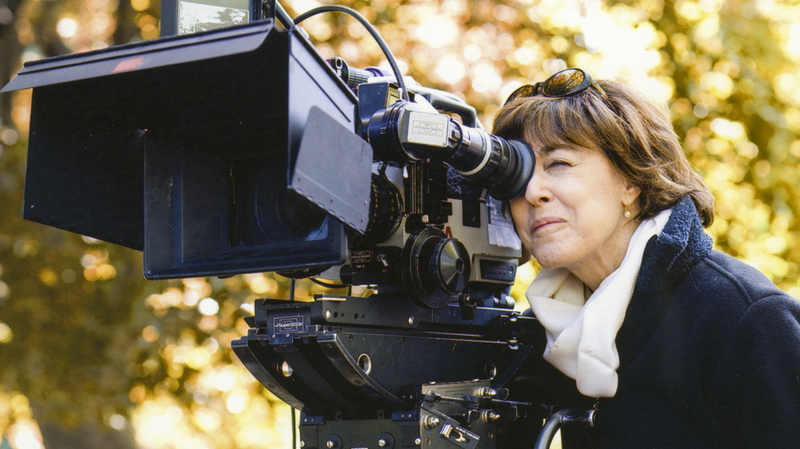 Writer, director and journalist Nora Ephron died in 2012 of complications from leukemia. The documentary features interviews with family, friends and people Ephron worked with. 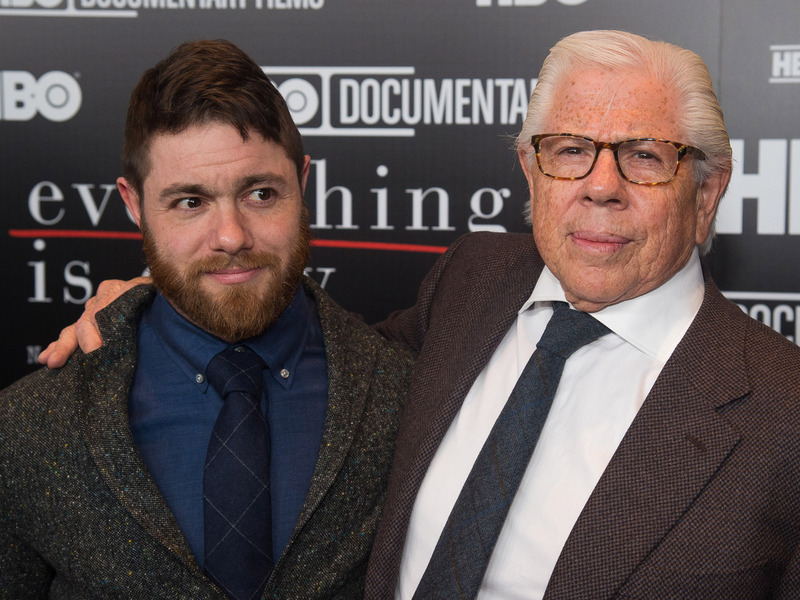 Jacob Bernstein's father, Carl Bernstein, who with Bob Woodward broke the Watergate story, also appears in the film. Ephron wrote a fictionalized account of her and Carl Bernstein's divorce in the best-selling novel Heartburn, which she later adapted into a film. She also wrote the movies Silkwood and When Harry Met Sally ..., and wrote and directed Sleepless in Seattle and Julie & Julia. For her 2006 book I Feel Bad About My Neck, Ephron wrote a series of funny, very personal essays about getting older, but there was something fundamental that she didn't reveal: She had a serious blood disease that developed into leukemia. Ephron died in 2012. Jacob Bernstein is a writer for The New York Times. He tells Fresh Air's Terry Gross that making the documentary wasn't about getting closure after his mother's death — it was about spending more time with her. "It was getting to stay with her in some way," he says, "from looking at her on a monitor and reading her old essays and reading Heartburn again. ... There was her voice, loud and clear." My parents had gotten divorced when I was very young, and it had inspired this book that she had written [Heartburn], and I wanted to know a little bit more about what that was like. And I wondered whether she had been ambivalent about spilling all of these secrets. ... I didn't get an enormous sense of my mother's vulnerability growing up, and I always sort of wondered if that was there. I would not say that during the course of this documentary I found a huge amount of vulnerability. That's one of the things that doesn't line up neatly. I think my mother was fundamentally different than the rest of us were. Jacob Bernstein, left, says Everything Is Copy wouldn't have been complete without the participation of his father, Carl Bernstein. I was angry at him for a portion of my childhood. It was a disturbing thing, and my father was not living with us. I think children of divorce really process it all kinds of ways. I think many of them become more resilient because of it. I think you become able to roll with the punches, you kind of know that things aren't permanent. That's OK, but it fundamentally shapes and shifts you. There was a lot of psychological manipulation, and in fact a lot of that stuff that reporters do with subjects whom they have no relationship with where you say, "It's going to be better for you if you cooperate." You do what you have to do, particularly if you're making a movie, because I did know how badly we needed him, and I needed him psychologically too. I was tremendously worried about what would happen to our relationship if he wasn't in it, and I was very worried about what the movie would look like without him — I didn't think it could be complete. There's no question that as a teenager, when I reached my time to get angry at my mother ... that her having written Heartburn was a little thing and her being off directing movies was a little thing. And it wasn't until I was sort of 17 or 18 that I kind of went: Well, other people's mothers that I know were sort of professional bar mitzvah planners — they kind of lived on Park Avenue and were just about consumption in some way, and she wasn't. She did really interesting things. And it was interesting, too, to go from being a family that had an OK amount of money to being one that there was a tremendous amount of pride in what she did because she earned it. I think my mother was pretty cool. I think she didn't want to come to me while she was feeling vulnerable or hysterical about it. I know that she and my stepfather [writer Nicholas Pileggi] got back from Seattle, where she had seen this doctor, and she really broke down, from what Nick said. But I never saw her break down over her illness, just as I never really saw her break down over anything. I think that probably was one of the things that I was interested in with this movie, was how often did that happen? Not so often, as I came to find. Some of the considerations for why she didn't tell people were pragmatic. I don't think that she could've gotten insured on a movie if people had known what she had. Her agent, Bryan Lourd, knew that there was a thing with her blood and I think he did a little bit of willful blindness on her behalf, as he sort of got her one project after another. But basically people didn't know, so there was this pragmatic component. The other component was philosophical. ... It really was the belief in being the heroine of your life and not the victim. How do you not become the victim if people are walking up to you and saying, "How are you? Are you OK?" She didn't want that. So it was a secret that allowed her to move throughout the world in control.